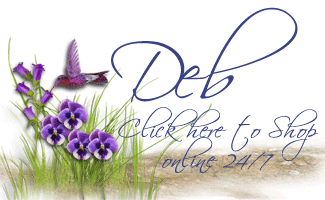 My Thanks to You, a Special Offer, & Weekly Deals! 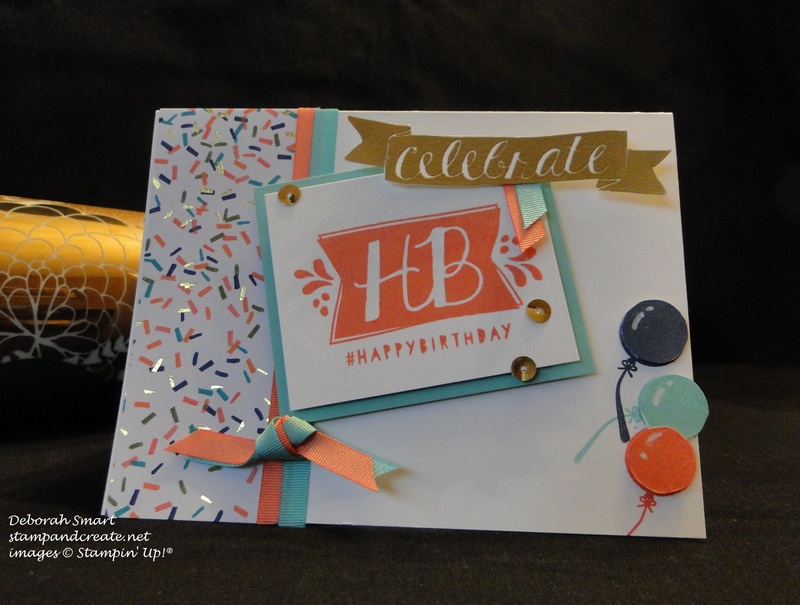 This card features the Balloon Bash stamp set and Birthday Bash Specialty Designer Series Paper. The ribbon is from the FREE Sale-a-bration ‘Best Year Ever Accessory Pack’, and the balloons are from Hooray It’s Your Day stamp set. I am so thrilled to be chosen again as a Featured Artisan; I really enjoy participating in the Paper Craft Crew Challenges – you can see them all HERE – I think that the design team do a wonderful job of creating sketches for us to work from for our entries. To show my appreciation for your support, I am offering FREE SHIPPING* (*up to $10) for anyone who orders (at least) the combination of the Balloon Bash stamp set (#137144) and Birthday Bash DSP (#137783). To receive this offer, you must place your order directly through me (either call or email me with your order). Due to Stampin’ Up! rules, I am only able to fulfill orders WITHIN CANADA. This offer will remain open from today, February 17th to next Tuesday, February 24th. 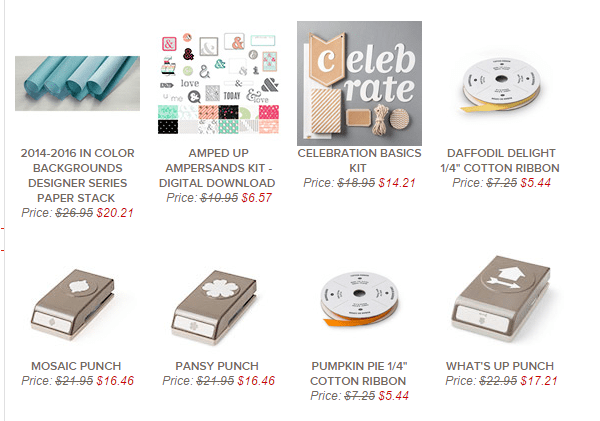 I also want to share with you Stampin’ Up!’s WEEKLY DEALS for this week – if you’re feeling ‘punch’, these deals are for you! Remember – it’s still Sale-a-bration time, so with every $60 order, you will receive 1 FREE ITEM from the Sale-a-bration brochure! I don’t know about you – but I love free stuff!! Until next time – happy shopping! Previous Previous post: Creative Blog Hop – Check it Out!